Sooo good! Nom, nom, nom! I have to say, this latest batch of dough was AWESOME! The pizza was sooo good. 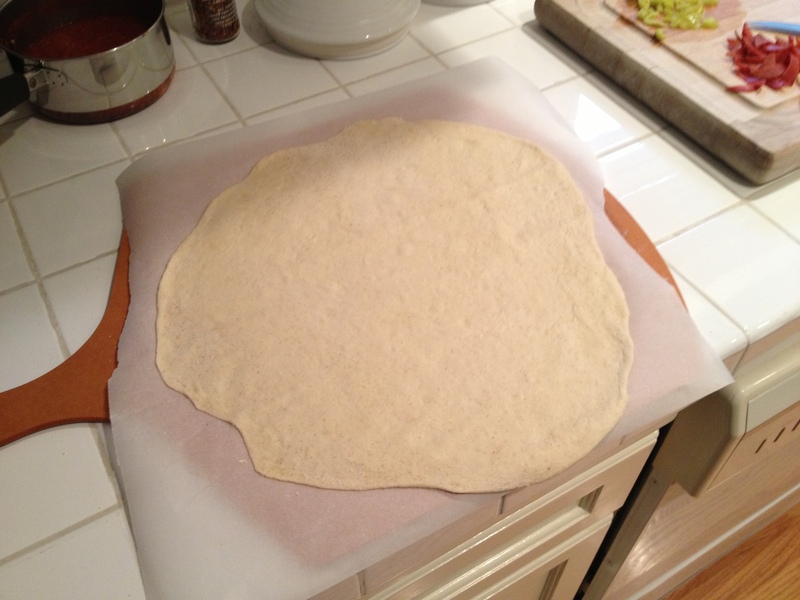 Brad and I like a nice, thin crust – and I managed to get this one rolled out really well. I have a pizza stone, and I think it is the key to having great at home pizza. This go around, I got it really heated up – which I think was the main reason this pizza turned out so well. A great tip I picked up somewhere on the interwebs, was to use parchment paper under your dough to keep it from sticking. This is the best tip ever! It beats using all that cornmeal – which just ends up burning up on the stone. Also, it’s a great way to get the pizza onto the stone if you don’t have a pizza peel.After about 4-5 minutes, I just pull out the parchment – then the crust on the bottom gets nice and cooked up. Simmer together for 30 minutes – blend until smooth. Yum. 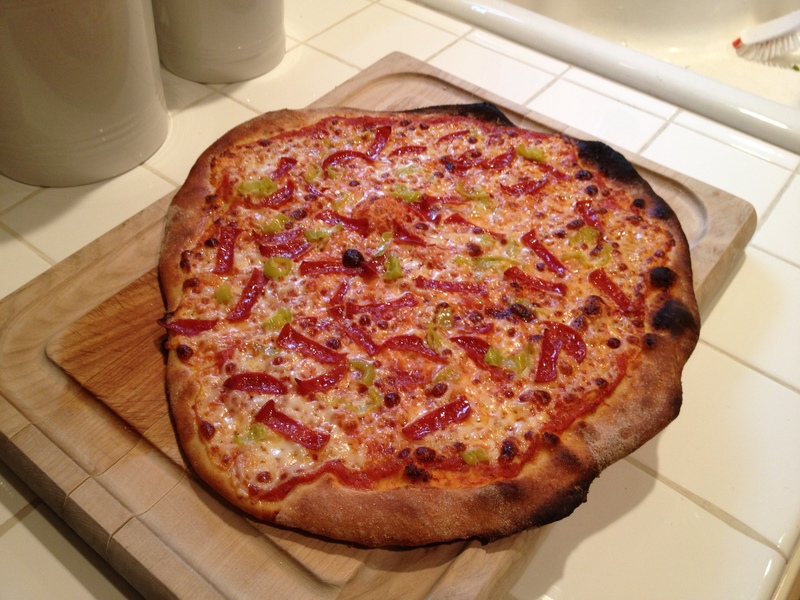 For this one we went with one of our all time favorites: turkey pepperoni and pepperoncinis. So simple and nice. Maybe next time a veggie pie.